Ultimate Competition | The Kids Beat | Kids VT - small people, big ideas! Last fall, Vermont made history — and got a shout-out on "Saturday Night Live" — when it became the first state to sanction ultimate frisbee as a varsity high school sport, beginning in the spring of 2019. In August, the Vermont youth team that competed in the Ultimate Frisbee U.S. Open's Youth Club Championships in Minnesota made news of its own. The team entered the tournament ranked last in its 16-team division. They played seven games over the course of three days and finished sixth, a performance that coach Michelle Steele said "exceeded our expectations." The last time Vermont sent a team to the U.S. Championships, in 2015, they finished 13th out of 13 teams. For years, ultimate frisbee — a sport invented by a high school student in Maplewood, N.J., in 1968 — has been growing in popularity as a club sport at high schools across Vermont. Last year, there were 20 high school boys' teams and seven girls' teams, according to Steele, a French teacher and ultimate frisbee coach at Middlebury Union High School. All of those players provided a deep talent pool for the coed team Steele helped select for the national tournament. She and fellow coaches Nolan Benoit and Kate Desrochers held tryouts in April and May, and selected 10 girls and 11 boys for Team Equinox, which competed in the U20 mixed division. 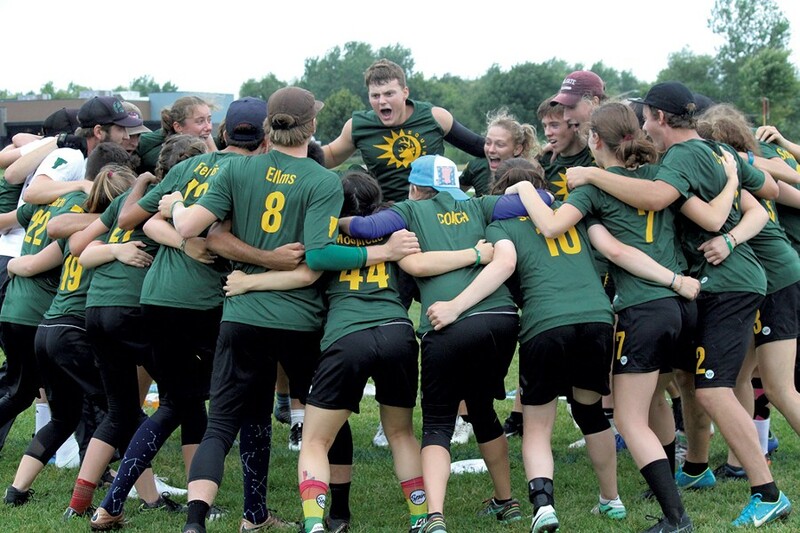 Now that ultimate frisbee is a varsity sport, said Steele, "Vermont hopes to continue sending high-level players and make a strong showing at next year's [Youth Club Championships] and for years to come." Learn more about ultimate frisbee in Vermont at Green Mountain Disc Alliance's website, gmda.usetopscore.com.